The word "Hima" in Sanskrit means "snow" and the word, "alaya" means "abode". 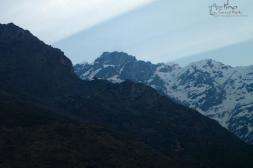 But the mighty mountain ranges of the Himalayas are more than just an abode of snow. They are Mother Nature’s biggest miracle. The Himalayas are the roof of the world, overwhelming us with their sheer magnificence and size and humbling us by giving us a true perspective of how small and insignificant we humans are. Home to eight of the ten highest mountains in the world, with Mount Everest being the highest, the Himalayas are revered the world over. While adventurers look at the Himalayas as a constant challenge that helps them discover their inner strength, for those on a quest for beauty, these mountain ranges offer the most virgin, pristine and stunning landscapes ever known to man. But for individuals on a spiritual journey, the Himalayas are the ultimate destination. These ancient mountains are considered the abode of the gods and the spiritual center of the world. 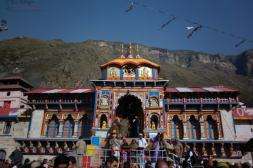 Hundreds of temples and shrines dot the Himalayan foothills even as the mist-shrouded snow-capped peaks have given birth to many mythological stories and legends that form the backbone of India's many cultures and religions. 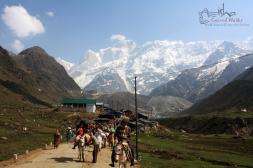 In fact, a trip to the Himalayas is considered to be the ultimate pilgrimage in South-East Asia. 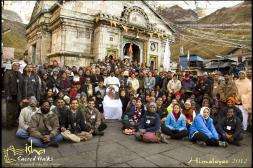 Himalayan Sacred Walks, a program by Isha Sacred Walks, offers you a once-in-a-lifetime opportunity to embark on this journey to the beautiful temples and sacred spaces of the Himalayas. Here are seven reasons why you should not miss the chance to be a part of the Himalayan experience. According to Hinduism, the Himalayas are the abode of Shiva. 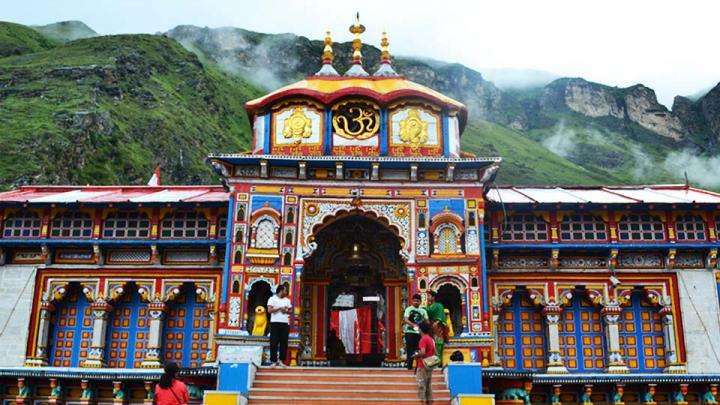 They are home to India’s most significant spiritual spaces like Kailash Manasarovar, Amarnath, Vaishno Devi Temple, the Char Dhams – Kedarnath, Badrinath, Yamunotri, and Gangotri – as well as many beautiful monasteries and Buddhist gompas. 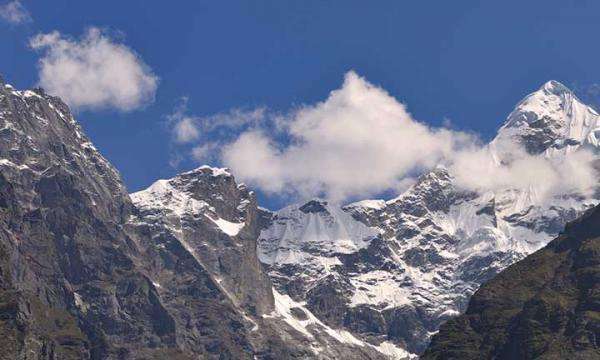 The Himalayas are also known as Giriraj or the "King of Mountains", which is a deity by itself in the Hindu pantheon. The Himalayas have also been personified as the god Himavat, the "God of Snow", who is the father of Ganga, Saraswati and Parvati. The mystical, enchanting Himalayan mountains are a treat for your senses. View some of the most breathtaking panoramas on Earth, enjoy the crisp mountain air on your skin, listen to the chants of devotees along with the songs of the wind and smell the wondrous fragrance of the mountain trees and flowers. The Himalayas are the source of the Indus Basin, the Yangtze Basin and the Ganga-Brahmaptura, which are three of the world's primary river systems. Geologists have performed tests over years to prove that the Himalayas, covering an area of 612,021 sq. kms, across six countries — Bhutan, India, Nepal, China, Afghanistan and Pakistan — are geologically alive. This mammoth mountain range is said to be moving approximately 20mm every year! 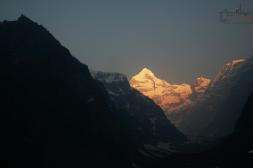 The Himalayas have always been the source of immense peace, tranquility and enlightenment for countless sages, yogis and spiritual gurus including Adi Sankaracharya, Guru Gobind Singh, Vivekananda and many others. Sadhguru always felt a deep affinity for these sacred mountains as well. 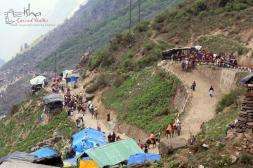 Every year, devotees undertake the holy trek in spite of all the challenges they face due to extreme geographical and weather conditions. This is the beauty of this sacred space. For all these reasons and more, a trip to the Himalayas with the Himalayan Sacred Walks is an intense spiritual experience, complete with the inclusion of meditation sessions, satsangs, spiritual discourses and much more. The 10-day trip will take you through Haridwar, Rishikesh, Uttarkashi, Kashi Vishwanath Temple, Gangotri, Guptakashi, Kedarnath and Badrinath. Himalayan Sacred Walks offers you the opportunity to soak in the sacred energies of these enchanting and majestic mountains and come back deeply transformed. Registration closes on 15th Aug 2017. However, if all places are filled, registration may close earlier. New Delhi (Indira Gandhi) Airport – (Terminal 1 Arrivals-C Gate-5) by 09:00 am on the first day of the program. Please meet us outside the gates of this arrivals terminal. The shuttle from Terminal 3 will take approximately 30 minutes to reach Terminal 1C. Please plan your arrival time accordingly so you can be outside Terminal 1C by 9am. Terminal 3 is for International Arrivals and some Domestic flights arrive here as well. Travel from New Delhi to Haridwar, one of the most sacred cities in India. Have a glimpse of Karnaprayag, Vishnuprayag and Nandaprayag, while travelling to Badrinath. Karnaprayag marks the confluence of the Alakananda and Pindar rivers. 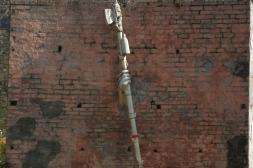 It is here that Karna is said to have propitiated Surya to acquire an impregnable shield for battle. 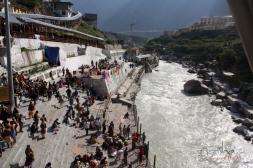 Vishnuprayag is the confluence of Alakananda and Dhauliganga rivers, where Vishnu appeared to sage Narada. At Nandaprayag, Krishna’s father Nanda, is supposed to have conducted a great sacrifice, where the Alakananda and Nandakini rivers come together. 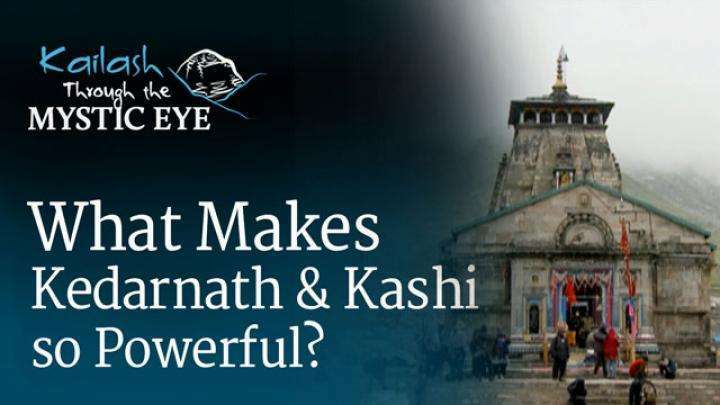 Known as the "secret Kashi", it is famous for the ancient Vishwanath Temple said to have been consecrated by the legendary sage Agastya himself. Along the way, have a glimpse of Rudraprayag, a confluence of Alakananda and Mandakini rivers. According to legend, Shiva appeared here as Rudra to sage Narada who was in an intense state of meditation. 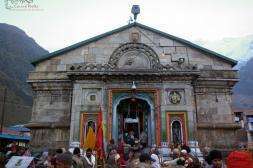 Trek to the ancient and powerful Kedarnath temple, site of one of the 12 Jyotirlingas, where the group will take part in meditation and have a satsang explaining about the significance of the place. Return from Kedarnath. A satsang and meditation will be conducted here. On the way back, visit Devprayag – meaning “holy confluence” – which marks the place where the Alakananda merges with the river Bhagirathi, giving birth to the Ganga. Participate in the evening arati at the banks of the Ganga at Rishikesh – the Gateway to the Himalayas. New Delhi (Indira Gandhi) Airport – Terminal 1 Arrivals-C Gate 5 by 09:00 am on the first day of the program. Please meet us outside the gates of the arrivals terminal. Please plan your arrival time accordingly, so you can be outside Terminal 1C by 9am. *Terminal 3 is for International Arrivals and some Domestic flights arrive here as well. Comfortable accommodation, wholesome vegetarian food and mineral water, and the entrance fee for all places on the itinerary, will be provided throughout the trip. The entire sojourn is conducted and managed by a dedicated Isha team, which includes a qualified and well-equipped doctor who will accompany the group throughout the journey. Isha will also arrange for train travel to New Delhi from Chennai, Vijayawada and back, and deluxe bus travel from New Delhi to the Himalayas and back. Since train ticket reservation starts 120 days before the journey, interested participants are requested to register at the earliest to ensure a confirmed train ticket from your desired destination. 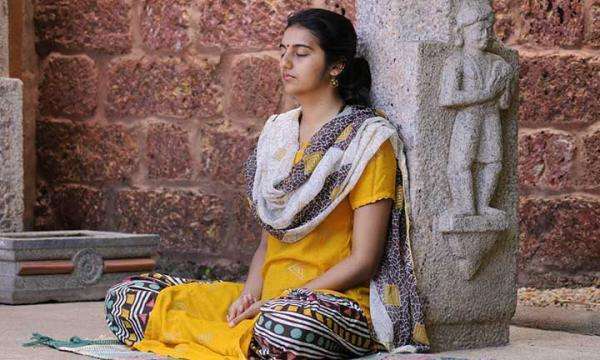 It is necessary to have completed an Isha Yoga program (either Shambhavi Mahamudra, Shakti Chalana Kriya or Isha Kriya with Inner Engineering Online). Please note that this trek is not advised for pregnant women and those suffering from chronic health problems like epilepsy, heart ailments, uncontrolled BP, diabetes, asthma, psychological problems, physical disabilities and obesity. As we will be traveling by bus, it is advisable to pack as light as possible. A trekking bag with waterproof cover is needed for the treks and also to carry the daily luggage and frequently used items inside the bus. The rest of the items can be packed in a suitcase or a handbag. Due to the confines of space, it is necessary to keep luggage on the bus roof; therefore it is advisable to bring bags that are rain resistant and durable. Camera (optional). Please note that video cameras are not permitted. BSNL and Airtel cell phones work fairly well in the Himalayan region. "Powerful meditations and Sadhguru presence has left indescribable deep impression! Longing and wishing to go to these sacred mountain again and with Isha!" "No word to express my happiness..."